This eraser is perfect for all of you whose pet elephants are beginning school. Just kidding! 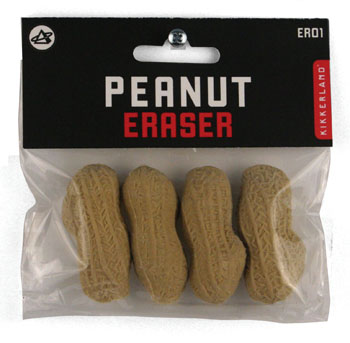 These peanut erasers may look delicious to the novice elephant but they are durable, true erasers. Although the come to us packaged in a bag of four, we sell them as a single item so that you may get just one, or as many as you like.